It's already known that low-income students of color generally have less experienced teachers, but a new study from the Center for American Progress reveals they have less effective teachers, too. 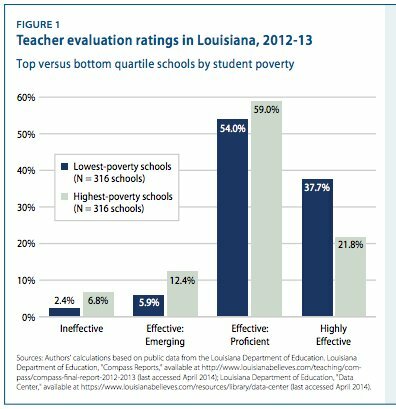 The Center For American Progress report, released Friday, analyzed the evaluation scores of teachers in low-income and affluent districts in both Massachusetts and Louisiana. Throughout the past few years, states have been incentivized to adopt new teacher evaluation systems through Race To The Top funding. 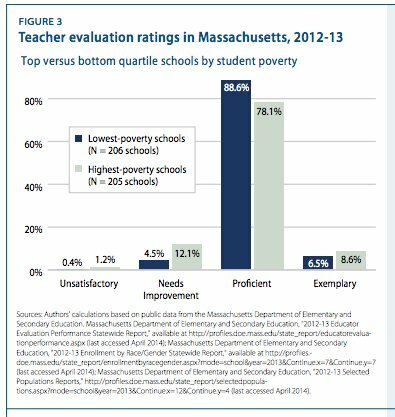 The teacher evaluations in Massachusetts and Louisiana -- two states that are unique in making evaluation scores public -- rate teachers based on measures like student scores on standardized tests and effectiveness during classroom observation sessions. Similarly, students in schools with a high concentration of minorities are more than twice as likely to have an ineffective teacher than students in schools with a low minority enrollment. Results are similar for schools with a high concentration of minority students. Another Center For American Progress study, also out Friday, analyzed the root causes for what is called the unequal distribution of teachers. The report noted that while No Child Left Behind previously asked states to devise plans that would ensure the equitable distribution of teachers, subsequent waivers gave states flexibility from these requirements. “Regardless of how it is measured, teacher quality is not distributed equitably across schools and districts. Poor students and students of color are less likely to get well-qualified or high-value teachers than students from higher-income families or students who are white,” says the report. In order to fix these problems, she said, districts should incentivize effective teachers to work in disadvantaged districts and create mentorship programs that pair effective teachers with struggling ones. “Regardless of how you splice it or measure it, this continues to be something we need to think about. Having an effective teacher is a key driver in whether a student achieves and learns a lot,” DeMonte said.